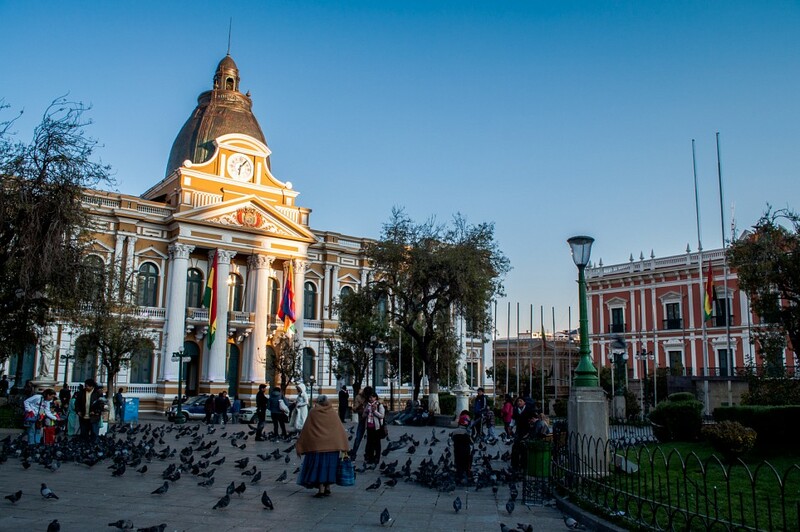 A thoroughly exciting, thriving, and interesting city to explore for days on end, the unofficial ‘capital’ of Bolivia is the country’s most convenient entry and exit point. 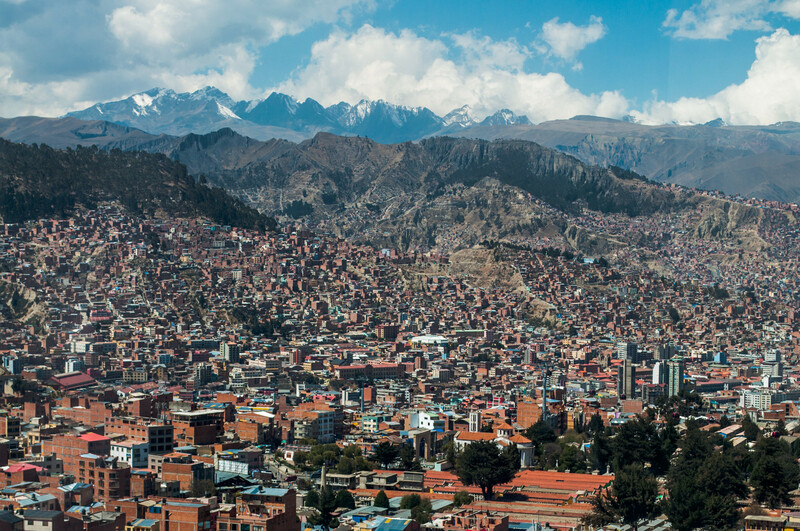 Sitting at a height of 3,600m, La Paz is renowned for gifting visitors breathtaking experiences at every turn, down every corner and up every flight of stairs. In order to do this city justice, give yourself at least four days and make sure you halve your speed of movement, food and alcohol consumption. Life at high altitude should not happen very fast at all. 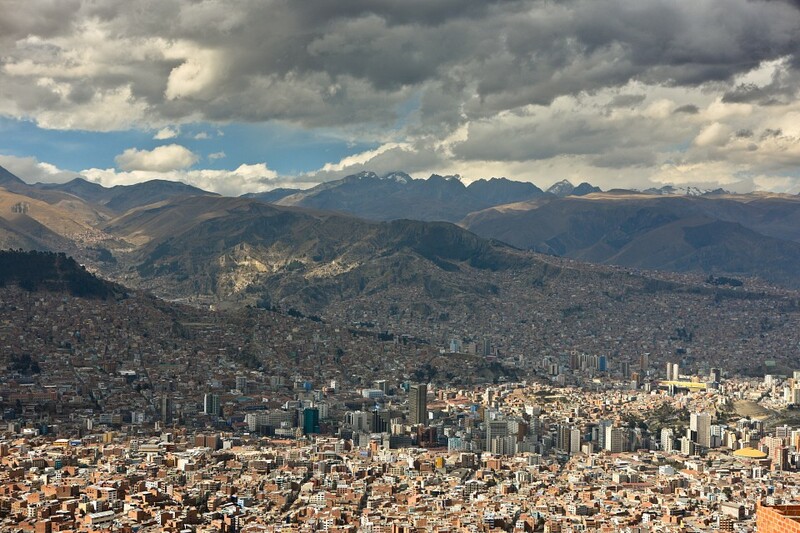 With an interesting history and a plethora of natural and cultural attractions, La Paz offers a phenomenal introduction to Bolivia, a remote and mesmerizing country which happily floats on the highest peaks of the Andes, the longest continental mountain range on this planet. Boasting an insanely striking setting, La Paz is spread along the contours of a stunning canyon, with the country's second-highest peak serving as ever-present sentinel. This is Bolivia at its very best. 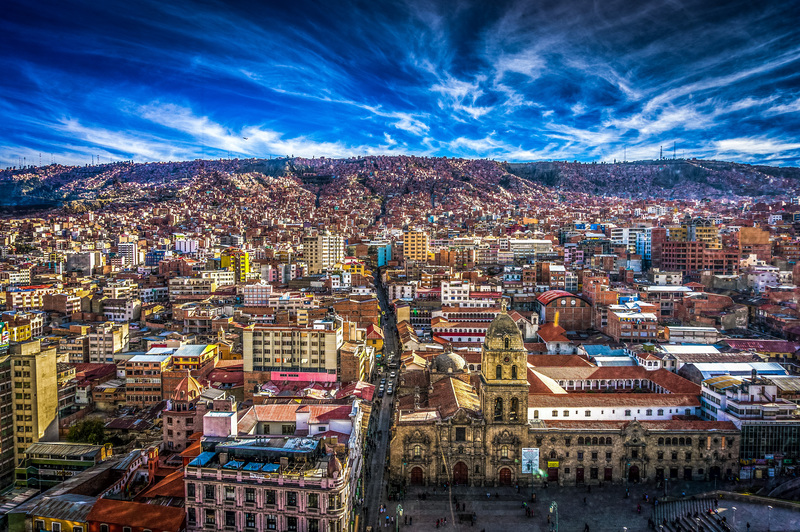 Founded in 1548 by Spanish conquistadors looking for gold, La Paz swiftly became a thriving economic center with merchants from all over heading here to trade in coca, tin, silver, and gold, and facilitating routes from coast to Andes and onward to Buenos Aires. Within a century, the city was inhabited by a few hundred Spaniards and quite a few thousand indigenous Bolivians, each fraction taking up opposite shores of the Choqueyapu River . Although several Indio rebellions initiated here, each was met with tough and brutal resistance from the occupiers, and it wasn’t until 1825 that independence from the Spanish Crown was finally achieved. 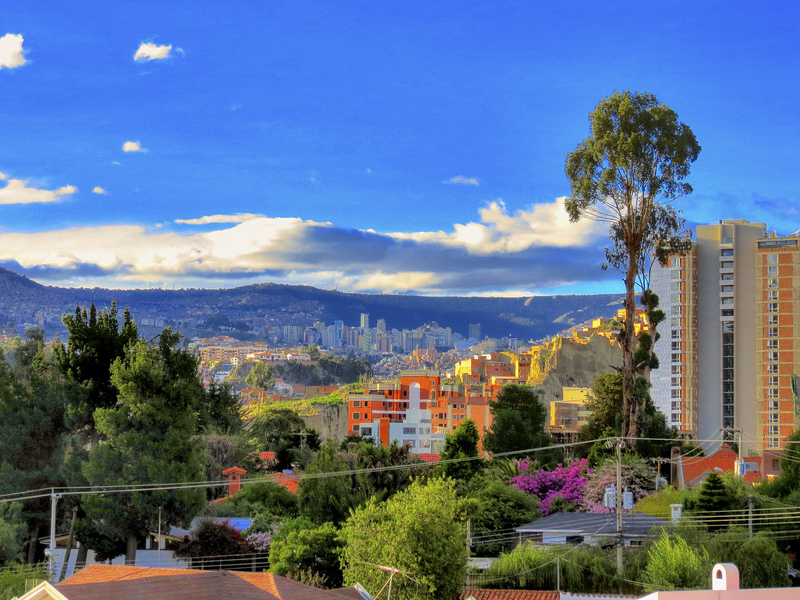 By then, La Paz was the most prominent and largest of all the cities, and even though Sucre remained the official capital, La Paz was, and still remains, home of the President and Government. 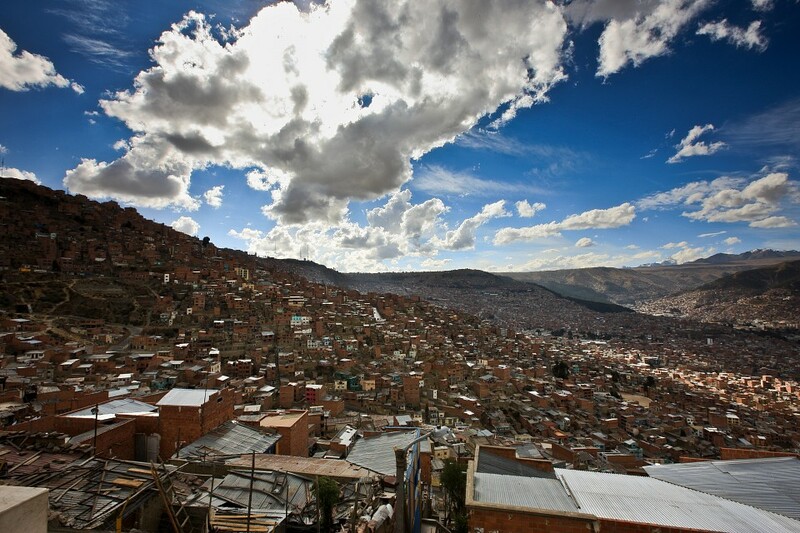 Yet La Paz’s prosperity did not come without harsh economic and social consequences. The mass migration of farmers to the city has spawned quite a few shanty suburbs. Poverty here, and the disparity between haves and have nots, are a little hard to ignore. Nowadays, if there’s a protest, it’s much more likely that it will be staged in La Paz rather than Sucre. The city is quite widespread, all along the floor and the walls of a very striking canyon. Unlike in many other cities the world over, where you’d find the most affluent suburbs are elevated, the social structure in La Paz works the other way around. Due to milder temps lower in the valley, this is where they upper class lives, leaving the impoverished indigenous locals to live on huts high up on the valley’s upper rim. Although tourist attractions are spread about town, leaving visitors to take cabs (walking for hours up and down steep roads at this height is deadly! ), the official ‘tourist strip’ is found on Sagarnaga Street and its surrounding alleys, as well as Avenida Illampu. This is where you’ll find great budget hostels, fab eateries, and a plethora of souvenir shops and markets. Within walking distance you’ll also have plenty of bars, cafés and clubs, making this the most thriving hub for foreign visitors. For the tourist, La Paz offers an incredible cultural experience, not to mention, a wonderful introduction to the amazing natural wonders of the high Andes. 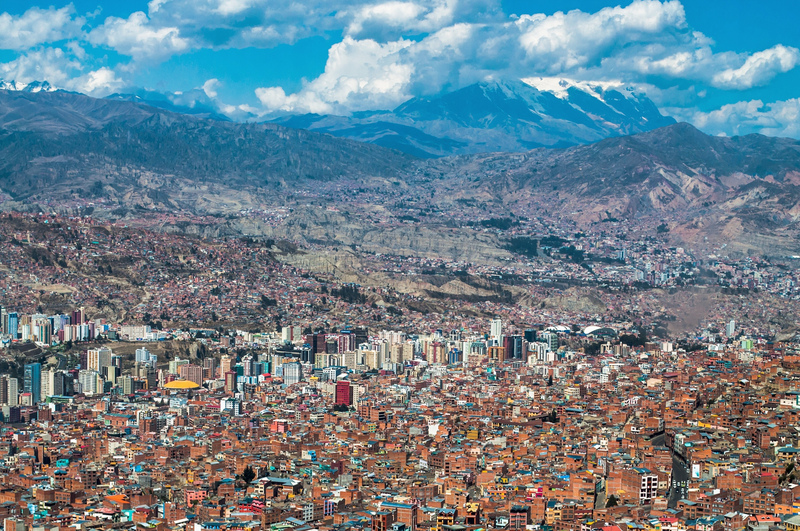 Give yourself plenty of days here to acclimatise to the altitude and then dive right into the very best this vibrant, enigmatic city has to offer. The Witches Market is arguably the touristy, yet most enticing, market in the whole city. Fun, quirky, and even not a wee bit puzzling, the market may give off the impression of being a simple touristy novelty, yet is actually taken quite seriously here. You’ll see dehydrated llama fetuses and frogs hanging in neat rows, as well as a myriad of potions used by locals for their Aymara rituals. Of course, you’ll also find innumerable souvenirs which you can actually use, like hammocks, clothing, shoes, and bags. Speaking of which, watch out for your bags and belongings, as this is the prime pick-pocket heaven in the whole city. 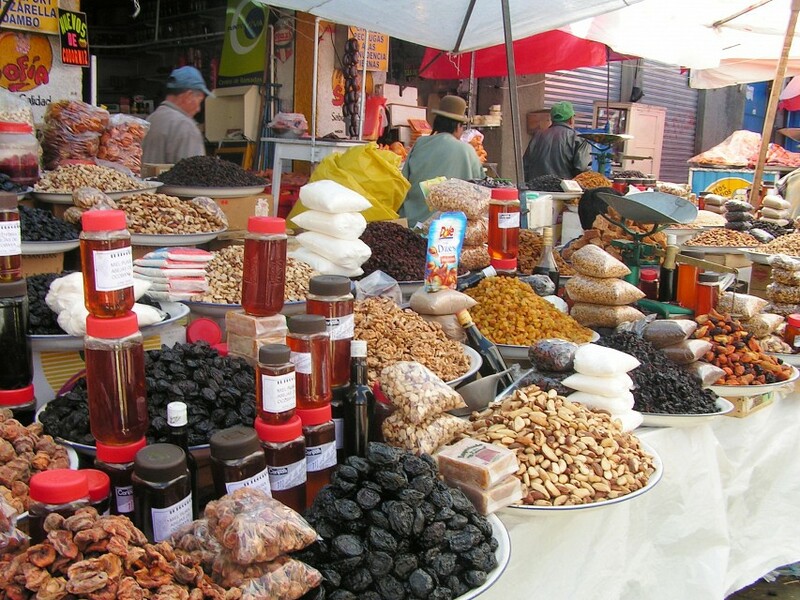 If you want to get more out of your visit, book a walking city tour with a local guide and you’ll learn all the intricate uses of what you see on sale here. A day spent mountain biking down the reputed ‘most dangerous road in the world’ is one of the most popular activities in the whole country. This gravity-assisted ride is insanely fun, but can also be insanely dangerous, as highlighted by the numerous crosses you’ll see on certain strategic corners. The ride starts at an altitude of almost 4,700m and, from there, you’ll be heading downhill, on a mountain bike, at breakneck speed, for over 64kms. On a German autobahn, this would be, of course, no problem at all. Except in La Paz, the road is unsurfaced and narrow, and you’ll be flanked by either a vertiginous mountain side OR a 3000m drop. In case you are wondering: nope, there are no safety railings! Once back to the land of the living, head to the immensely fascinating Coca Museum to learn all about the history and cultural uses of this infamous Andean plant. Not the most outstanding museum in La Paz, that’s for sure, but if you’re interested in learning all there is to know about the what/how/why and when of coca use and abuse through the years, then this may tickle your fancy. Museum lovers should also make a point of visiting the National Folklore Museum and Museum of Contemporary Art. The building of the city’s cable-car system, the Teleferico, was meant to facilitate the lives of hundreds of commuting locals who used to make the trek between the city center and the elevated El Alto mountain-top suburb, yet swiftly became the city’s main tourist attraction. Given its inexpensive price, it is also the cheapest. Head up on a 500m ascent to enjoy what is arguably the most breathtaking view of the entire city and valley. 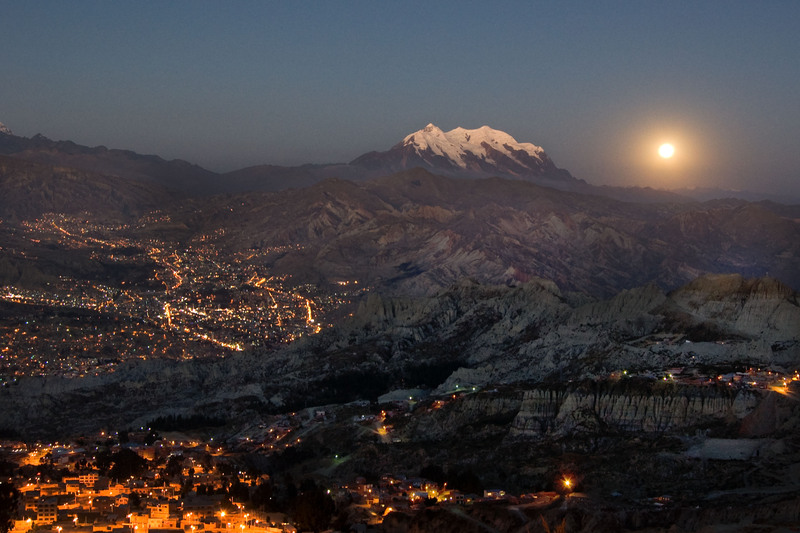 Do this just before sunset and you’ll be privy to an amazing spectacle, as La Paz comes alive with a million lights. This colonial-era gem is found in Plaza San Francisco, right in the heart of the city. The lovely Baroque architecture, mixed in with some Andean detailing, makes this the prettiest church in town. The comprehensive guided tour offered at the door (for a price) and chance to ascent to the top of the tower, however, is what makes it a very worthwhile place to visit. Head off on an enlightening day’s exploration of Tiwanaku, a fascinating archaeological site which pre-dates the Inca Empire and is said to have been constructed in the first millennia BC. According to historians and archaeologists, Tiwanaku was a thriving city, and the administrative capital of a mighty empire which ruled over the area for over five centuries. The site is a good 3-hour drive out of La Paz, so in order to make it a worthwhile place to visit, do ensure you book your tour with a well-respected, knowledgeable guide. Learning all about the indigenous culture which inhabited the area can be extremely fascinating, but your enjoyment will be entirely up to your chosen guide. Much closer to the city center (just a 20-minute drive) is where you’ll find this spectacular valley, renowned for its surreal, otherworldly landscape and monolith rock formations. The clay-based valley, with its mineral-enriched Earth, is one of the most colorful and striking sites in the country, reminiscent of its much more famous Altiplano . For this excursion., we recommend you not take a guided tour but, instead, use public transport or a taxi to reach the site. Most tour guides tend to rush visitors in and out, when in fact this is a place you ought to spend an entire day exploring. Bring snacks and drinks and make yours a fantastic day out of the hustle of the city. 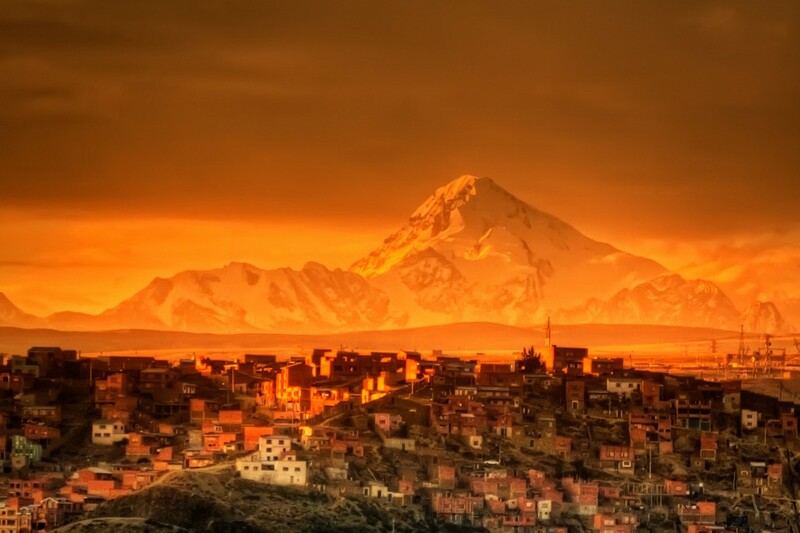 Bolivia’s second-highest peak stands at a breathtakingly impressive 6,438m elevation and is La Paz’s most magnificent landmark, being visible from almost every corner of the city, albeit on a day with crystal clear skies. A four-day climb is offered by adventure tour agencies in La Paz, yet the hard slog up to the top should only be attempted by experienced mountaineers who have spent quite a bit of time at high altitude and have acclimatized well. Pick a well-respected, reputable guiding company make sure you plan to spend quite a few days in La Paz both before and after your trek. Small local eateries offer set-menu lunches (almuerzos) for about $ 3.00 USD and usually include three courses including dessert and coffee. The city is also brimming with innumerable Chifas (cheap and cheerful Chinese joints) but the best lunches in town can be had at Jalal, a super popular Lebanese place on Sagarnaga Street. If you’re looking for fellow adventure travelers to share a trip or excursion, this is where you should come to find them. 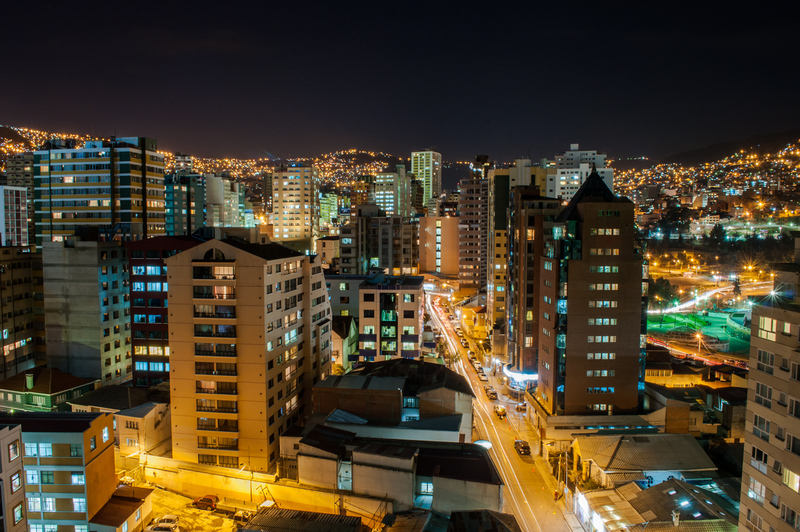 The Prado area, at the lower end of the city, is where you’ll find the flashier eateries in town, many of which are located within La Paz’s 5-star hotels. Amazing pizzas can be savored at Il Portico on Avenida Florida, although they still don’t compare to those you’ll feast on, when visiting the Salar de Uyuni. To be brutally honest, while La Paz’s gastronomic scene tries hard to impress, offering the likes of Italian, German, Swiss, Japanese, and French foods, one must always remember that this is not Buenos Aires and almost everything should be enjoyed in the knowledge that one is, after all, in the middle of nowhere up high on the South American Andes. No matter how long you have been in Bolivia, whether 5 days, 5 weeks or 5 months, there is one culinary destination you should absolutely not miss: Gustu. No one is quite sure how or why one of the world’s most celebrated chefs, owner of über-famous Noma in Copenhagen, would choose to start a new venture in La Paz. But he did. Offering an eclectic menu of West-meet-Bolivia cuisine, Gustu could have gone all fancy pantsy and risked being totally out of place, yet was thankfully maintained low-key in its appearance. The food served, however, is truly outstanding and even though is mind-boggingly expensive (for Bolivia) it is still amazing value, for European taste buds. The city’s nightlife is a little peculiar to say the least. On the one hand, it can certainly be considered very tame when compared to much more visited cities like Cusco or Arequipa in Peru although this has more to do with the crazy altitude rather than fewer visitors. On the other hand, the altitude allows for swift inebriation, so going hard fast tends to result in the city turning into a quiet, little heaven pretty early on of an evening. Most people, choose to have dinner out in one of the many ex-pat owned bars, around Sagarnaga, many of which boast live bands and semi-subdued partying. Sol y Luna is one of the city’s most popular bars, owned by a Dutch couple and offering different music scenes on varying floors, as well as a pool room and a fantastic restaurant. Mongos Rock Bottom Cafe, on the other hand, is a phenomenal salsa dancing club and ideal for those with a bit more energy at the end of a day out and about in La Paz. Due to the nature of the sightseeing activities in La Paz (exhausting at best) many good nights are usually enjoyed in the bars of hotels and hostels so, if you are traveling solo, do choose your accommodation at one of the more popular places to ensure you’ll find plenty of people with whom to socialize of an evening. La Paz is a true shopaholic’s heaven with an infinite number of makeshift markets found in just about very main road of the tourist center. Leather goods, weaved textile, and artisanal gear are the souvenirs of choice here, and can be found cheaply and in abundance on every second corner. Although the most famous markets here are popular for windowless-shopping, the best deals are found in smaller stalls around Avenida Illampu and Sagarnaga, most especially if you leave your souvenir shopping to the end. At the end of the day, stalls sell exactly the same things no matter where you go, so buying a suitcase-full of goodies all at once, and from the one retailer, will grant you bigger bargaining power. The 16 de Julio Markets, also known as the El Alto Markets, have quite a bad reputation for pick-pocketing, although the sheer volume of ‘stuff’ on sale is worth at least a quick look. For great crafts, head to the Mercado Artezanal on Calle Linares and, for a feel-good shopping spree, head to the Ayni Markets, where everything on sale is handmade by co-operatives of local artisans. 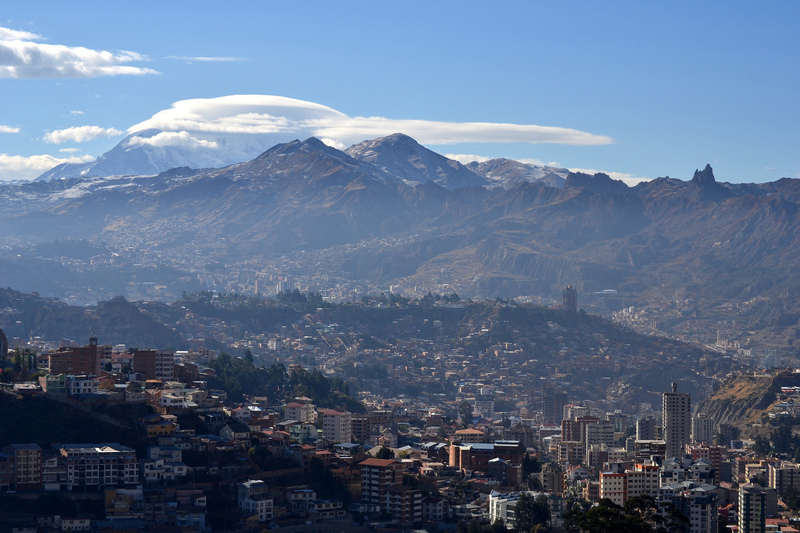 Bolivia, and La Paz in particular, tend to cop a lot of flack in the traveler-safety department, however we think this issue is highly dependent on how long you have been touring South America. If you’ve been in the continent a while, you won’t have to worry much, as you’ll be no doubt used to locking up your belongings and only leaving with a few bills in your pocket and, at most, a small camera strapped to your shoulder. If you’ve only just arrived, however, you may want to make a note of the following precautions. Wearing flash jewellery and boasting about your brand new, expensive CANON camera is not the way to go here and will only attract unwanted attention, so leave all those at home (or locked in your hotel safe) when roaming the streets of the city. Don’t leave home without it and, while you’re at it, make photocopies of all your documents and email them to yourself. Should you have all your belongings stolen, you can always log in form a public terminal and copy them out. By law, you’re supposed to walk around with your passport and, unsurprisingly, passports are a hotly regarded item by criminals. Carry a photocopy instead: this will satisfy authorities and disappoint the crooks. If a policeman is not satisfied with your copy, then assume he’s a crook and ask him to meet you at your hotel reception to see the original. If he comes, he’s legit, if he doesn’t, well, you get the point. Catching buses, moving hotels, arriving at the airport etc. This is when tourists are at their most vulnerable because they are usually a little frazzled and are carrying all their belongings. Team up with other travelers so you can take turns guarding bags, and always opt for an official cab when needing to cover short distances. Violent crimes are a lot less common here than elsewhere, yet still occur, usually only after dark. Never walk alone down quiet side streets and always catch a cab to get back to your hotel after a night out. For extra safety, get the bar/club owner to call you a radio taxi and give him/her the details of the taxi driver. Taxi drivers have been known to ‘inadvertently’ drive away with people’s belongings, so don’t get out of your taxi until the driver has done so. Police uniforms can be purchased for next to nothing, and many an unwary traveler has fell victim to the fake-cop scam. Never hand over your passport or belonging to anyone and never get in a car with a policeman for any reason. Always insist on heading back to your hotel and ask the manager for assistance should you ever be approached. Warnings notwithstanding, do note that the great majority of visitors to La Paz encounter no issues at all. Friendly, hospitable, and helpful locals are the norm here, so if you take just a few precautions you can be assured of a hassle-free time. 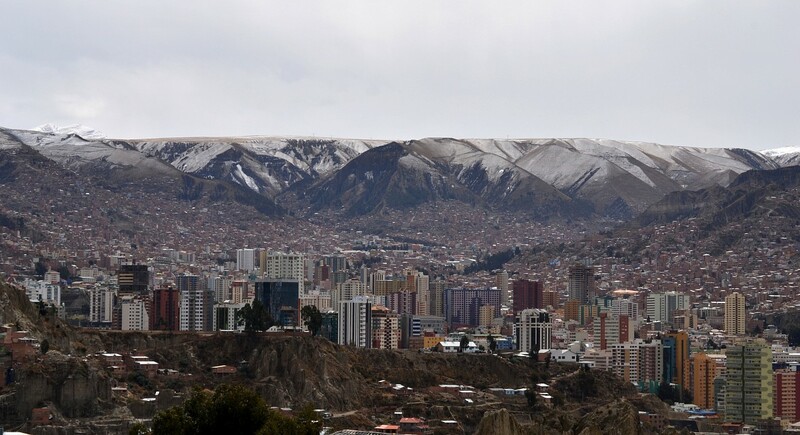 La Paz is home to the world’s highest altitude airport, which sits at over 13,123 feet Funnily enough, this is over half a jetliner’s normal cruising height! The El Alto International Airport services flights from all over the country, continent and further afield. An official taxi ride from the airport to your hotel should not cost more than $ 10 USD . The city is home to a few bus depots, each in the direction of intended travel. This is done to facilitate peak hour driving through the city which is a nightmare at the best of times. Wherever you are headed to, or coming from, make sure you know where in the city the bus depot is located. The brand new Bolivia Hop-on/hop-off bus service connects La Paz to Cusco (the base of your Inca Trail to Machu Picchu adventure), and travels through Puno which is the base town for visiting Lake Titicaca. Do note that this service is so new that no reviews are out yet, although it is affiliated with the popular (and similar) option in Peru so at least that’s an optimistic sign. 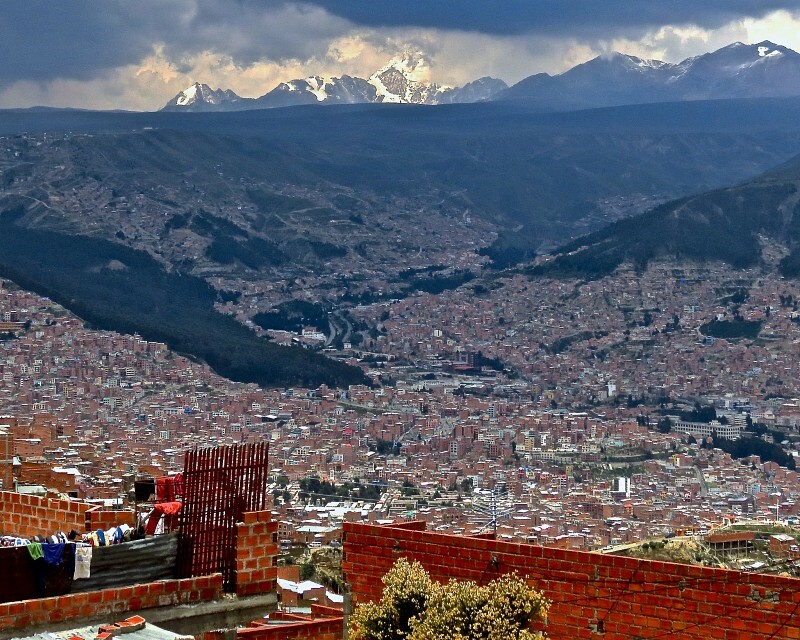 Well-seasoned travelers prefer to use the multitude of public mini-vans and micro-buses to get around La Paz, although a little Spanish and a lot of patience is needed to undertake this task. If you’re game, simply approach your hotel or hostel manager with a list of places you intend visiting, and he/she can inform you of the best way to get there using the city’s public transport. Outside of peak-hour traffic, opt for registered taxis, as these are inexpensive and much more convenient. Bolivia tends to attract adventurous, budget-conscious backpackers and the city’s accommodation choices reflect this very well. Nevertheless, there are still plenty of mid-range and high-end options both in Prado and further up in the main tourist areas.